Aaaaaand I’m back! With Moussaka! | I made that! Hurray for getting married! 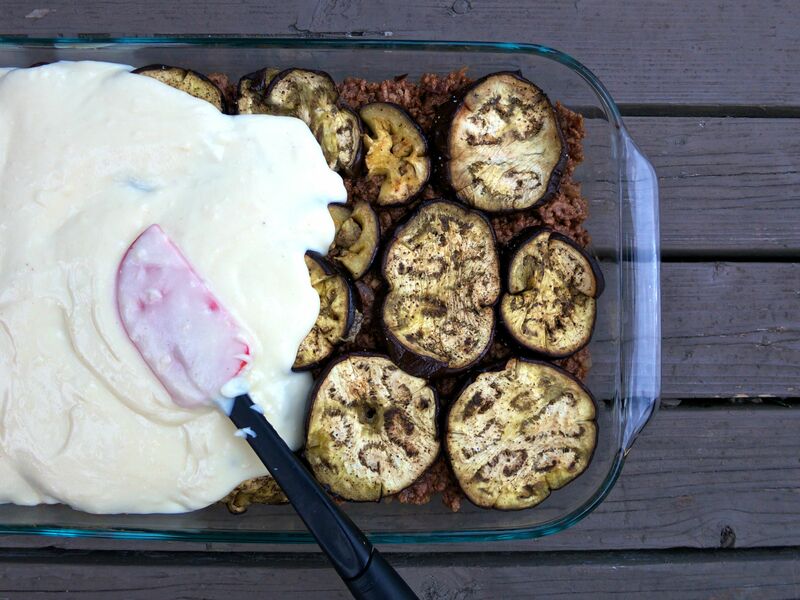 Hurray for Moussaka! So glad you’re back. Always thrilled to have a new post! (Glad you are back on the horse.) 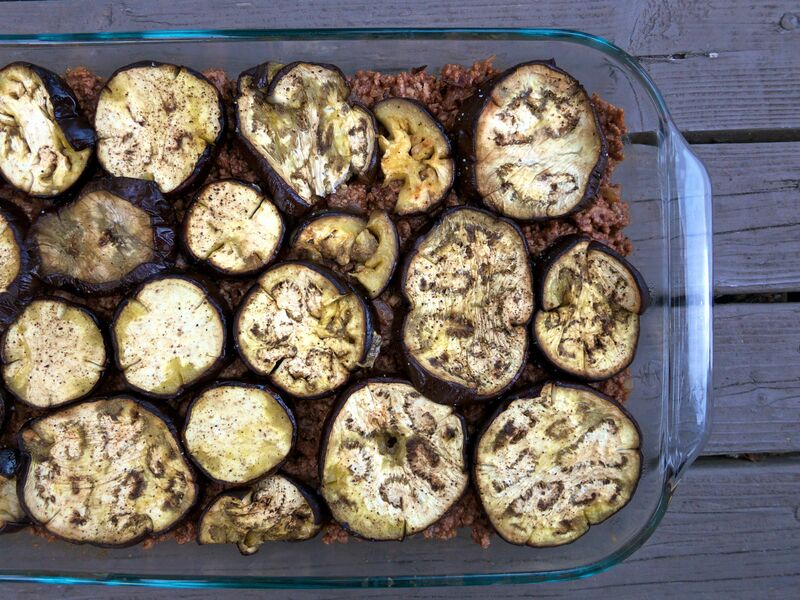 Congrats on the wedding and on procuring this awesome-sounding moussaka! Congratulations on getting hitched! I can only imagine that it was entirely wonderful. And, that moussaka looks divine! Such good things — moussaka, a good story, marriage! I recently got married as well, and the whole planning/marrying/honeymooning, plus the big move we tacked onto the end, led to a bit of a blog vacation for me, too. The return posts are just so overwhelming! So there is no judgement here. ; ) Congrats, and I love your blog. I’m so glad you are back. 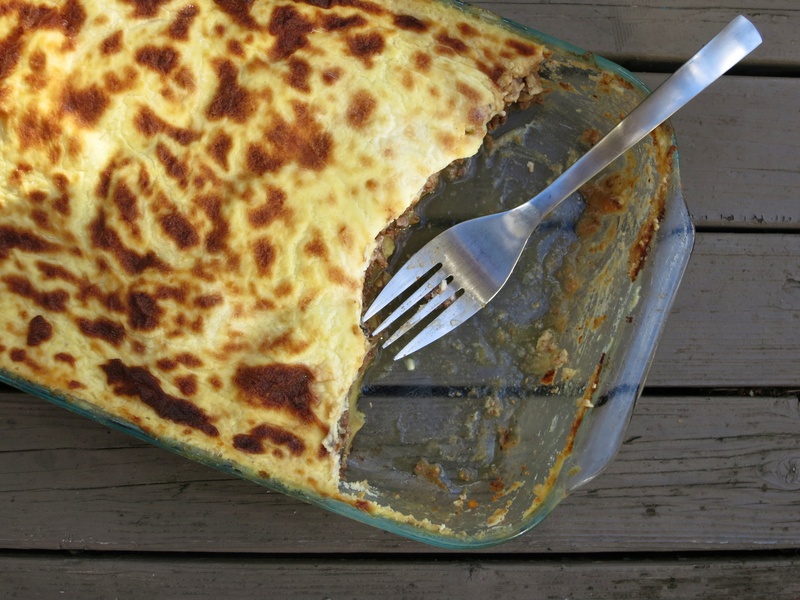 I love your blog and I love moussaka. Yea!!! Welcome back! Congrats on the wedding! Yay for cooking! No seriously, I’ve missed you in the blogosphere. really happy you’re back on the blog! congrats to you and john, enjoy your honeymoon travels! I want to make this. I don’t know when, I don’t know how, but…. I shall. Congrats on getting married! Looking forward to hearing more about your wedding picnic… Enjoy your honeymoon! Welcome back! The interwebs missed you. If you’re feeling crazy ambitious after your honeymoon, a recipe index for the site would be lovely. Very helpful for finding one of your delish recipes. I knew there was a reason I never deleted you from my blogroll (it’s called recipe backlog). Welcome back! Please don’t go away again! So glad you’re back, Brandi! I’ve been cooking off the old posts – carnitas, apple dumplings, i’m about to roll up some pork buns. Looking forward to the future posts! looking for a chocolate pie recipe, i come across yours tonite. looks divine. do you have a printer friendly recipe? and that crust…a-ma-zing! Welcome back. You need not apologize to us about taking a break. Your blog is a gift and I for one am just so grateful to continue receiving. Thanks for coming back, when ever you do. I’m so happy for you- this has been such a great year or so for you- it’s so nice to read about your successes.. still want to visit the Pantry some year..
Moussaka is my favorite. Creamy, and just delicious! Just checked in today randomly and I am so glad you’re back!!! Can’t wait to try this, and to see the wedding picnic post when you set it up. I made this moussaka at the weekend and it was fabulous! It took about 4 hours, start to finish, but it was so worth it. The custard topping was wonderful and I had to stop myself from eating it by the spoonful straight from the pan. I’d probably make the lamb mix and the custard in advance next time, then do the potatoes and aubergine, assembly and baking the next day. That looked like the best wedding ever. Belated congrats! Hello! I could have sworn I’ve been to this blog before but after going through some of the articles I realized it’s new to me.